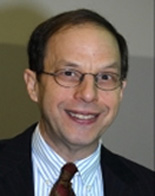 Frank R. Lichtenberg is Courtney C. Brown Professor of Business at the Columbia University Graduate School of Business; a Research Associate of the National Bureau of Economic Research; and a member of the CESifo Research Network. He received a BA with Honours in History from the University of Chicago and an MA and PhD in Economics from the University of Pennsylvania. Some of Professor Lichtenberg’s research has examined how the introduction of new technology arising from research and development affects the productivity of companies, industries, and nations. He has performed studies of the impact of pharmaceutical innovation on longevity, the effect of computers on productivity in business and government organizations, and the consequences of takeovers and leveraged buyouts for efficiency and employment. His articles have been published in numerous scholarly journals and in the popular press. His book Corporate Takeovers and Productivity has been published by MIT Press. He was awarded the 1998 Schumpeter Prize for his paper, Pharmaceutical Innovation as a Process of Creative Destruction; the 2003 Milken Institute Award for Distinguished Economic Research for the paper, Pharmaceutical Knowledge-Capital Accumulation and Longevity; and Research!America’s 2010 Garfield Economic Impact Award for the paper, The effect of new cancer drug approvals on the life expectancy of American cancer patients, 1978-2004.